Articles from 'Workers Power', a regular column in the Industrial Workers of the World's Industrial Worker newspaper. All of this material is mostly taken from the For Workers Power blog, which is an archive of material from a column that appears in the IWW's Industrial Worker newspaper. The Workers Power column aims to offer a space to share organizing stories and thoughts on strategies and tactics for building power on the shop floor. These columns are posted here to encourage discussion. The columns are intended for members of the IWW, though non-members may find them interesting as well. The columns don’t provide all the answers, but hopefully they are thought provoking and useful. At the very least, the people who wrote them learned a lot and got clearer about our ideas by writing them. Please consider writing for the column. Writing is a good way to think, to encourage discussion, and to share lessons and experiences. The column is mainly about ideas for building power on the job in the short term, the direction of the IWW with regard to workplace organizing in the short term, and first hand accounts of the realities of workplace organizing - in all its glory and all its failure. If you would like to submit a piece for this column in the newspaper, please e-mail it to forworkerspower[at]gmail.com. Submissions should be no more than 800 words. Ooh, cheers for these mate.. they look great! Chilli Sauce was telling me about these a while back so I'm looking forward to reading them..
Yeah, there's a lot of good stuff in here. In fact, there's a lot of good stuff in the Industrial Worker that's kind of missed and forgotten because it isn't online in text format. Either PDF or not at all, unfortunately. Finally finished this. 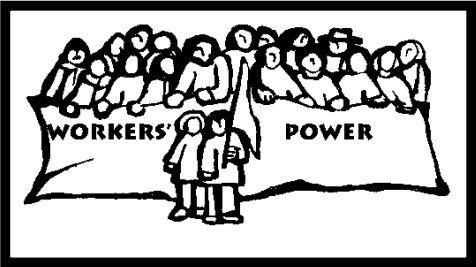 Every Worker's Power column from the Industrial Worker 2007-2012. Missing possibly 1-2 that I couldn't find PDFs for but that's alright.